Bring your marketing campaigns where the conversation is happening. Design, broadcast and automate your messages, and get personal with each of your subscribers. What can you do with Messaging Apps? 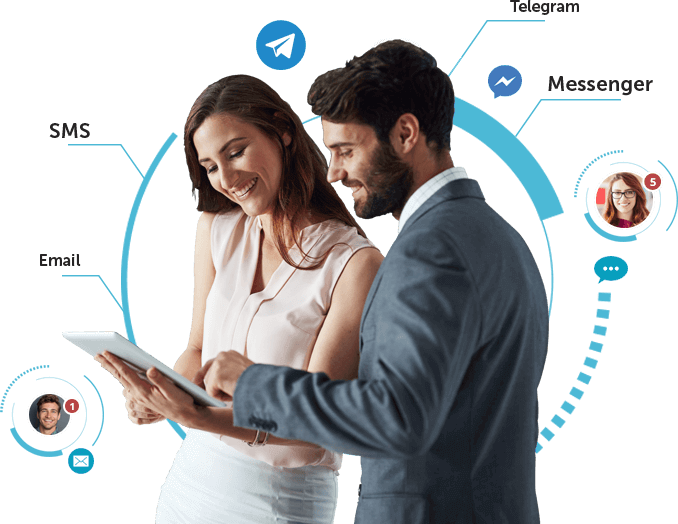 Your MailUp platform is ready for you to design, broadcast and automate messages also on Facebook Messenger and Telegram. Bring your customers closer to your brand on highly performing channels. Driving new subscribers to your channels is now easier than ever. 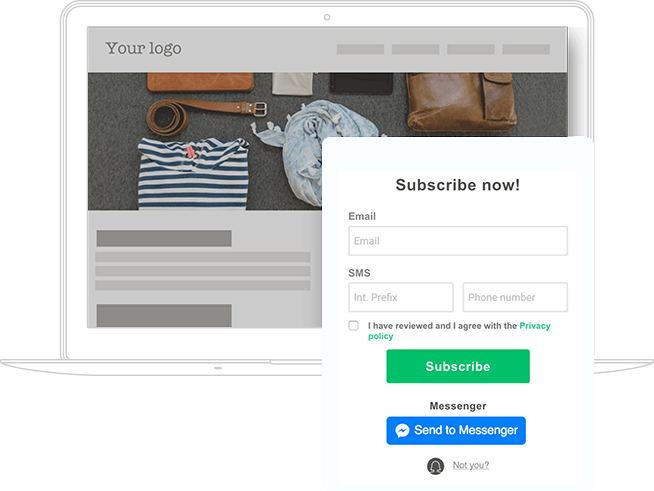 With our multichannel opt-in forms you can collect subscriptions to your Email, SMS, Facebook Messenger and Telegram channels - all at once. Customize your forms, set activation rules and let them grow your database for you. 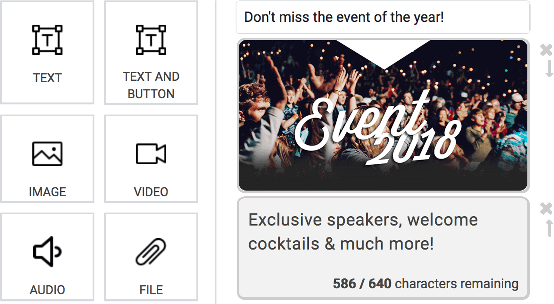 Our visual editor makes it easy and intuitive to create beautiful media-rich messages. No technical skills nor coding required - just connect your page or bot to start creating your campaigns. Let your subscribes know about your company news, product launches, event dates and much more - in a few simple steps. Schedule your broadcasts or hit send as you go - you decide. Send out notifications of the latest articles on your blog or addition to your e-commerce website. You can also set up default replies to common events, such as registration or unsubscription. 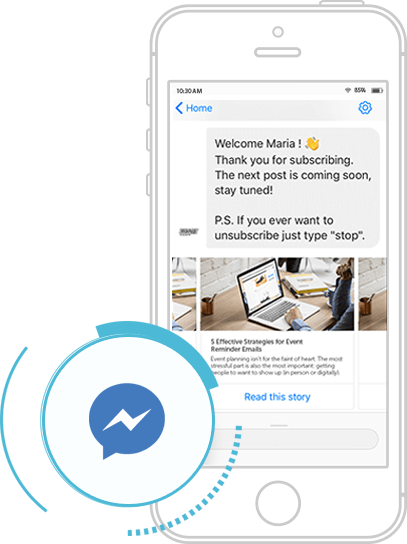 With Facebook Messenger, you can also connect your chatbots and control the whole conversational flow from within MailUp. Why bring your marketing to Messaging Apps? The adoption of messaging apps has skyrocketed in the last few years. Users now want brands to be closer to them - thus opening up a whole new marketing scenario. It's time for your brand to join the conversation. 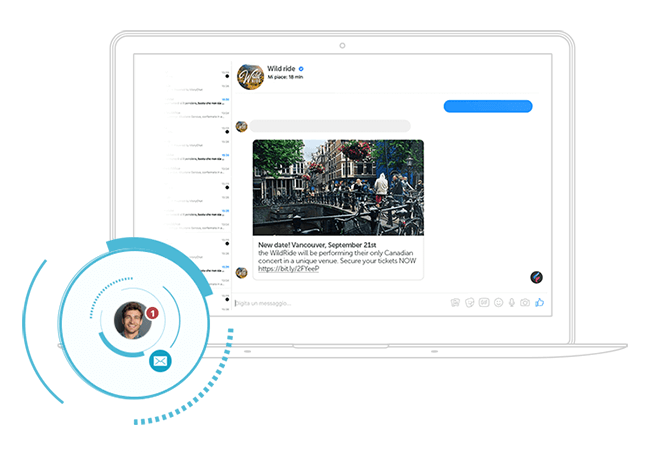 Start a conversation with your subscribers on Facebook Messenger and Telegram. Sign up for a free trial of the MailUp platform to know it first-hand.